THE VENTURE MP HAS YOU COVERED. Modern styling and technology meets a classic work ethic. High flotation and traction, 144 inch RipSaw track supports, room for two and massive cargo capacity. LARGE PROTECTIVE WINDSHIELD: Whether you are logging all-day miles on mid-winter’s day, or performing a task from sun-up to sun-down, the expansive windshield on the Venture MP provides protection and comfort for driver and passenger. PRO COMFORT 144 REAR SUSPENSION: This dual-shock, fully coupled suspension features a simple and effective flip-lever torsion spring adjustment to quickly adapt the suspension for one-up or two-up riding, or for hauling a heavy payload. A pair of 36mm High Pressure Gas (HPG) shocks provides controlled and consistent performance. EXTRUDED ALUMINUM SPINDLE: Saving weight and creating a nimble and responsive riding experience was at the foundation of the Venture MP platform. Extruded aluminum spindles are lightweight yet incredibly strong. 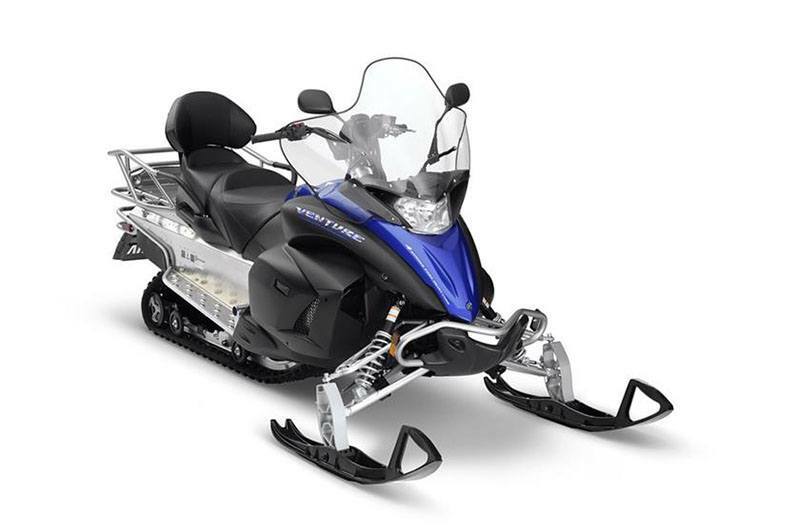 REAR EXIT EXHAUST: Often considered a hallmark feature of many Yamaha snowmobiles, the Venture MP platform also touts a rear-exit exhaust system that is exposed to the snow under-seat for additional cooling. 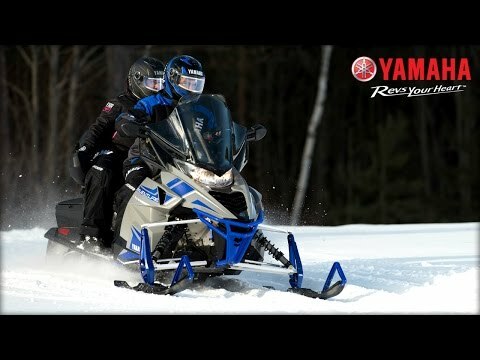 YVXC CLUTCHING: Featuring Yamaha drive and driven clutching, the lightweight YXRC system delivers smooth engagement, instant acceleration, fast reacting backshift, and cool operating temperatures for a long belt life. Just like its big brother YVXC clutch system, the YXRC is smooth, responsive, and durable. GENESIS 499 CC SPORT PERFORMANCE ENGINE: A clear leader in its class, the lightweight and dependable sport –performance Genesis twin was designed specifically to deliver a quick revving and torque laden power band. An advanced fuel injection system ensures consistent and efficient performance, while a counterbalanced crankshaft results in a smooth and super-crisp throttle response. HPG REAR SHOCK: High Pressure Gas (HPG) shocks with strong 36 mm bodies are calibrated to deliver consistent performance and comfort with excellent fade resistance. 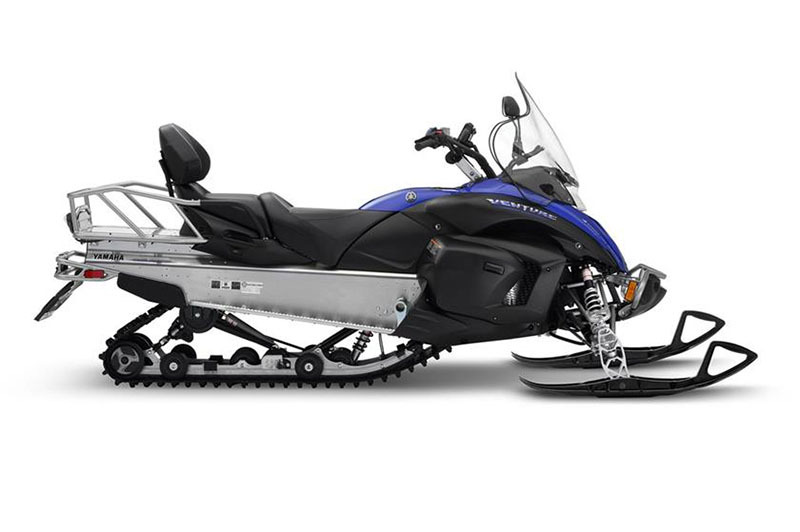 TUNER II SKIS: Developed exclusively by Yamaha engineers, the Tuner Ski incorporates a dual keel design that can be calibrated through various runners and carbide lengths for rider preference. The Tuner Ski dramatically reduces darting and steering effort while retaining predictable and sharp handling characteristics.